A SPATA Gold Award for outstanding design and build was bestowed on this stunning residential pool built by London Swimming Pool Company. 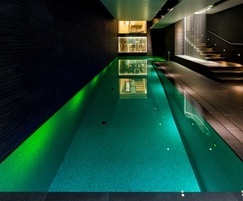 Unlike many London basement properties, the Grade 2 listed home has a larger than average space, enabling the installation of a near 15 x 3m level deck family pool with dazzling features. This includes the elegant slot edge detail, which the client preferred over a conventional grill around the perimeter of the pool. 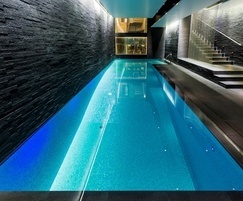 The pool surround is finished in slate-coloured large-format porcelain tiles. 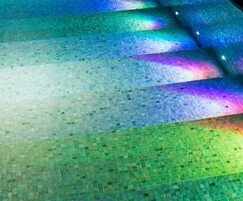 The multi-coloured (RGB) LED light changing system can be used to create different moods, using just one or up to eight shades that reflect and shimmer on the iridescent mosaic tiles. 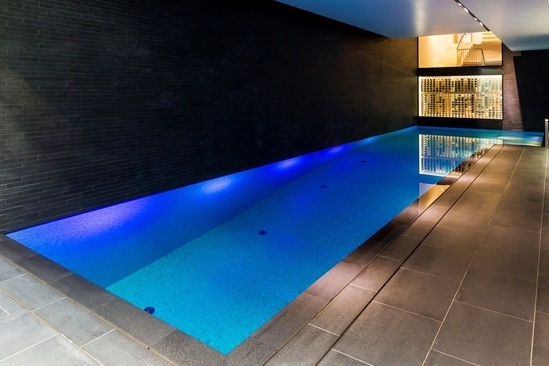 The pool is built in a striking pool hall; the back of the wine cellar can be seen at the far end, under which the pool cover is discreetly installed, totally invisible to the eye, and it glides out easily when the closure mechanism is activated. Access to the pool hall is via a contemporary staircase that has an ultra-modern stainless steel bannister created by the interior designer. 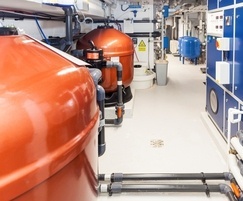 The pool is served by high-spec, energy-efficient plant, utilising equipment from market-leading manufacturers: Astral filter, Badu pump, and environmental control is performed by a Heatstar Phoenix air handling unit. A Bayrol compact automatic dosing system keeps the pool water in pristine condition. 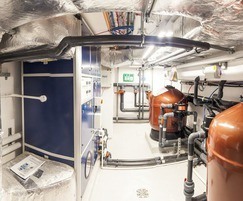 The project won a SPATA Gold Award which recognises outstanding design and construction.